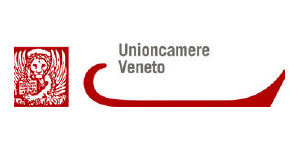 Unioncamere del Veneto – UCV represents all the seven Chambers of Commerce of the Veneto and hosts Eurosportello Veneto (www.eurosportelloveneto.it) – an information and assistance office providing services and helping its business community to work better in the European market. Eurosportello is part of the Enterprise Europe Network, established by the Directorate-General for Enterprise of the European Commission with the aim of providing small and medium enterprises with integrated support services, and furthermore of improving and strengthening the services formerly offered by the two networks supporting the SMEs and innovation. Unioncamere del Veneto has a strong and long experience of about 20 years in managing large EU-funded project in many different sectors, thus playing a strategic role due to its practice in project management, its networks and communication channels for carrying out the necessary dissemination activities and for assuring a good project development, also through its Representative office in Bruxelles.